but you don't get names do you? we have no idea when this bad thing might happen huh? A special person is hired to handle a rough job. Dealing with criminals in order to put society back in to shape. Mr. Finch (Michael Emerson) is a mysterious billionaire who has developed a computer program that predicts the identity of a person connected to a violent crime that will take place sometime in the future. However, the program has its limitations - it cannot predict whether there will be a victim, perpetrator or a witness, and nor can it predict when or where the crime will take place. 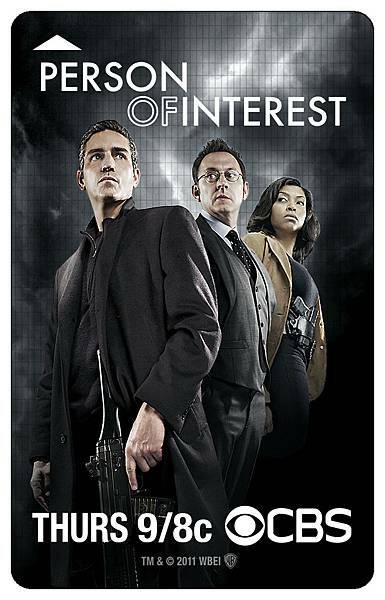 Unable to stop the crimes on his own, Finch hires Reese (Jim Caviezel), a former CIA agent who is presumed to be dead, to help stop the crimes from taking place.